Strong foundations are one of the most critical parts of any building scheme, no matter the size of the development – and at Scott Parnell we are committed to ensuring our customers have the right materials to make a solid start on their project. Our range of geotechnic supplies, including triaxle and biaxle geogrids, woven and non-woven geotextiles, can reinforce soils and similar materials, as well as sub-bases, retaining walls and subsoils below roads and structures. Our friendly, expert team can help advise you about the best geotechnics for your scheme. Please get in touch using the form below and we will get back to you as soon as possible. 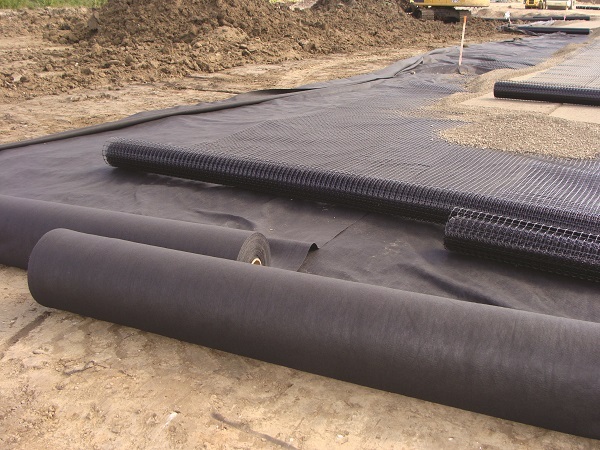 Terram Geotextiles - We stock a full range of Terram geotechnical products including separators, Permanent Way and Hydrotex.